DB2 for i5/OS Version 5 Release 4 (V5R4) is packed with performance, usability, and development enhancements that build on it's highly secure, self managing value proposition. The On Demand Performance Center and SQL Query Engine enhancements bring new power to the SQL world. The enhancements to support data warehousing applications puts the System i in a "best of" category. Additional usability enhancements for the developer include features for RPG, .NET, PHP or Java programmers. Other cool stuff includes enhancements in the area of data modelling tools, heterogeneous database access, and Business Intelligence. 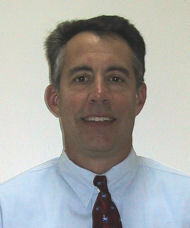 Doug Mack is System i DB2 Product Marketing Manager. Doug's twenty-six year career with IBM spans many roles, including System/38 and AS/400 microprocessor development, AS/400 Data Warehouse Segment Manager for the Americas, Certified Software Sales specialist, and DB2 and Data Warehouse Specialist on the iSeries Worldwide Executive Sales Team. Doug is a featured speaker at User Group conferences and meetings, IBM Technicalconferences, and Executive Briefings.